Thank you for registering your interest in Aqualiner. Aqualiner is commercialising a specialist pipe-lining technology for the water and sewerage markets. The process is a unique trenchless renewal technique and developed by Aqualiner with the involvement of Severn Trent Water, Anglian Water and Yorkshire Water. Two patents currently cover the Aqualiner system. Two new patent applications were made in Sept'16 and Feb'18. 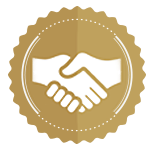 The business model is to develop and demonstrate the technology, protect it (through patents, both existing and new) and exploit the technology through globally licensing utility contractors and then selling equipment and materials. The UK has 405,000km of water pipes with 120,000km in need of replacement. Aqualiner’s “Melt in Place Pipe” (MIPP) lining process involves winching a glass fibre-reinforced polypropylene sock into a deteriorated pipe. After sock insertion, a silicone rubber inflation tube pushes a heated “pig” through the composite, melting the sock against the pipe, which then cools to form a solid glass-reinforced thermoplastic pipe. The process is currently designed to be capable of lining pipes between 4” and 12” diameter. The product is the only fully structural liner to have Drinking water supply products approval (England and Wales). It is also approved for installation in drinking water pipes in the US. The need for drinking water pipe renewal is driven by pipe age and/or leakage. UK water companies’ leakage rate averages 25%. Leakage is a “hot topic” with the UK regulator OFWAT. Thames Water’s leakage rate increased by 5% over its past financial year and as a consequence it will be penalised £8.55m by OFWAT. An issue with existing pipe replacement methods is the general disruption they cause in road closures for which local authorities are now introducing daily charges. 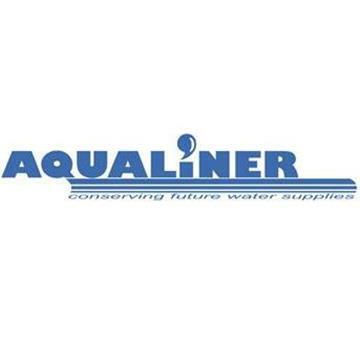 Aqualiner provides the water industry with a regulatory approved trenchless process for the renewal of the old and leaking drinking water pipes at a low cost with minimal disruption to customers or the environment. Aqualiner’s revenue model is similar to the “Nestle Espresso coffee machine” or “HP printer” business model. Sell equipment with a small profit margin but then sell all the certified and approved material/consumable used by that equipment directly to the licensed contractor. The three main revenue sources: upfront fees for International Territorial licenses for contractors, equipment sales and then material sales – represented mainly by the lining material –“The Sock” (The primary revenue).